Head coach Dan McFarland was left disappointed that Ulster failed to play any where near their potential in a 30-7 reverse at Glasgow in the PRO14 on Friday night. Robert Herring crossed to put Ulster ahead but the hosts responded swiftly through Fraser Brown, Adam Hastings and Tommy Seymour. 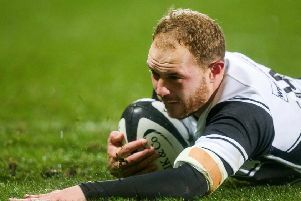 Prop Zander Fagerson crashed through after the break to secure the four-try bonus, Hastings kicking 10 points in total. The bonus point win for Glasgow and Munster’s 45-21 win over Cardiff has secured both a spot in the PRO14 Championship play-offs - although the final rankings in Conference A are still to be determined. For Ulster, they must wait to see if Benetton and Edinburgh can close the gap on them in second place after the play Leinster and Scarlets respectively on Saturday. Ulster return to Scotland next week for what will still be a crucial game in Conference B as they look to secure a play-off spot and automatic qualification to next seeason’s European Champions Cup. On the performance against Glasgow, McFarland said: “Obviously really disappointed, we did not play anywhere near to our potential. 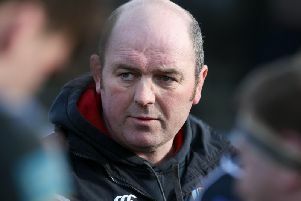 “I thought we started the game well, playing into that wind we produced quite good rugby but unfortunately we gave the ball away and allowed them to kick the ball a long way down the field and then score a couple of tries off the back of that. Glasgow coach Dave Rennie: ““It was a good night for us. Our line-out was excellent and our scrum was really powerful.